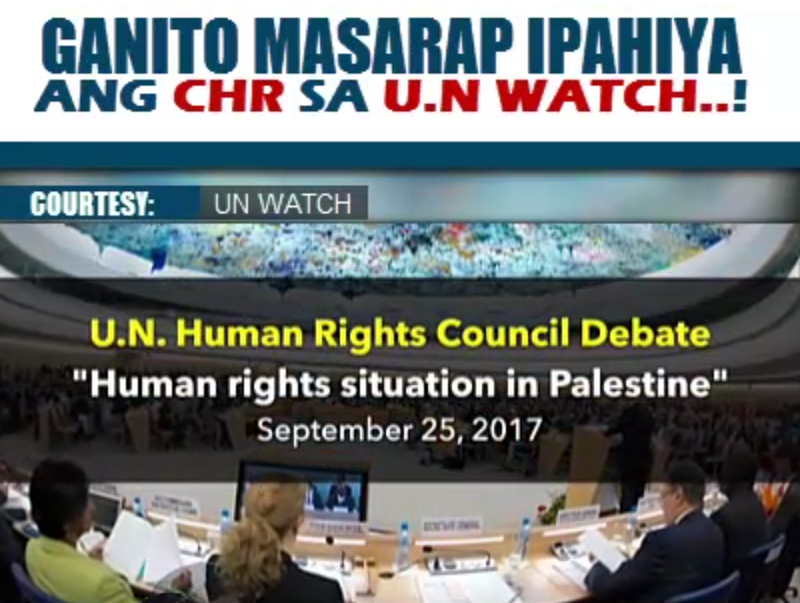 MUST WATCH: Ganito sana mangyari sa CHR sa UN! The Palestinian representative to the UN is indeed right. What he said is relevant to the current situation of the Philippines against those politicians who kept raising the EJK issue in which only their party claims. The Liberal Party is trying to cover up the issue of EJK that actually happened during the Aquino govt. One good example of this is the Hacienda Luicita owned by the Aquinos. 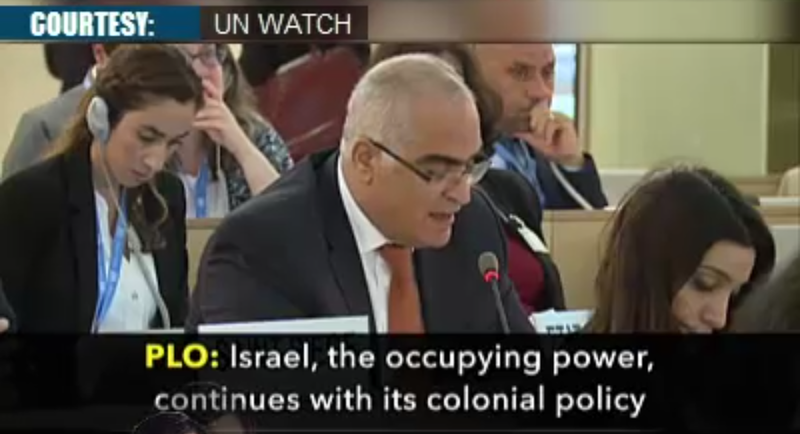 And now in this time of Duterte they easily brought the issue of EJK to the CHR in UN. I just hope that many of the yellowshit would be able to watch this video.. i-share natin ng i-share ang videong ito hanggang makita ng buong mundo! 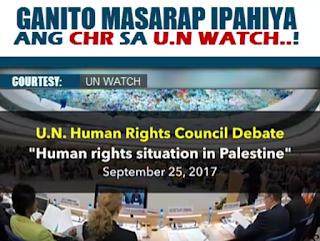 Trending Balita: MUST WATCH: Ganito sana mangyari sa CHR sa UN!